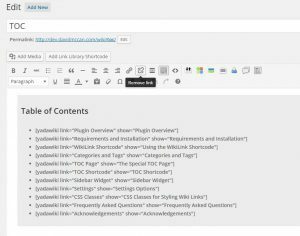 With Yada Wiki, you can create a special wiki post with the title of “TOC”, for table of contents, and create a wiki page that will serve as the table of contents for your wiki. 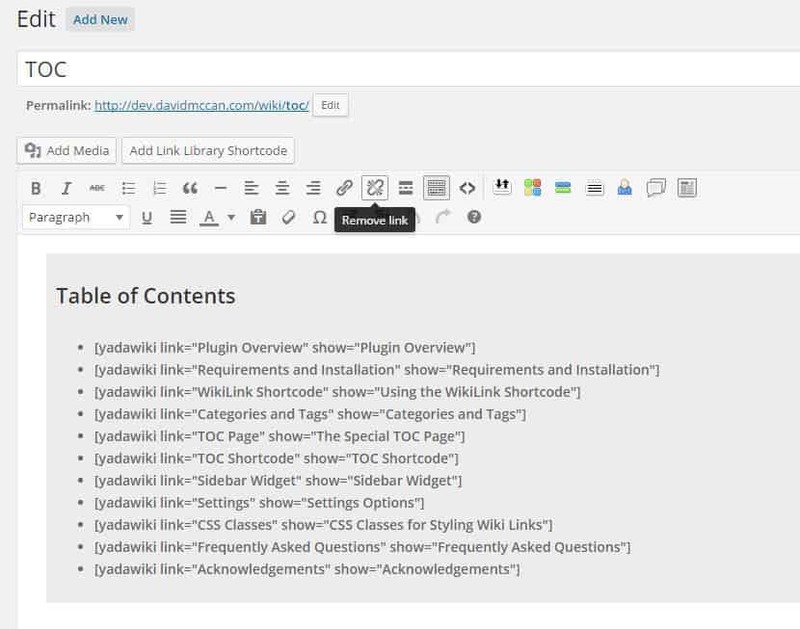 You can use wiki links and style the table of contents as you like in the post editor. The image on the left is an example of the TOC page for this wiki as shown in the visual editor. As you can see, it is just a page with a title of TOC, an H3 tag, and a list of Wiki Links. I put everything in a DIV with a gray background so that when I include it in other pages, the TOC stands out.